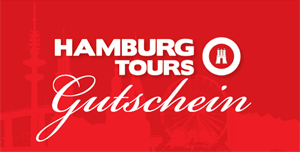 Hamburg Tours is a city tours company founded in 2010. We offer a wide range of services from standard city tours, to your own individual tour guides and customised city tours. On our two-hour city tours we guide you in groups of eight and more and in a variety of languages, on a number of city tours: through the newly developing HafenCity and the historical Speicherstadt(HafenCity-Tour), through the heart of St. Pauli (St. Pauli-Tour), as well as through Hamburg’s city centre (Hamburg City-Tour). Our team consists of trained and experienced tour guides. They know how to get across the history of their city, from the past through the present and with a look to the future and with a healthy dose of fun and humour. We are happy to accommodate your individual needs and requests. Moreover, we act as an agent (also at short notice) for river barge trips through the wonderful heart of Hamburg’s economic centre, the harbour. We are happy to answer any of your enquiries about our tours and can be reached anytime under the following numbers: landline 0049 (0)40 50748658, or mobile 0049 (0)1577 3836824 or by email under mail@hamburg-tours.com.